Last month, over Memorial Day weekend, I travelled back to Japan to visit Fukuoka and Karatsu! I chose to visit there mostly because I wanted to see Karatsu Castle, which was featured in Yuri!!! On Ice as Hasetsu Castle. With Karatsu being an hour away from Fukuoka by train, I decided that it made sense to fly into Fukuoka and find accommodation, and then just do a quick day trip to Karatsu and still have a bit of time to check out Fukuoka. Plus, the plane ticket was so cheap ($157 roundtrip with Jeju Air! ), and so off I went on a short weekend trip to Kyushu, the southernmost island of mainland Japan. 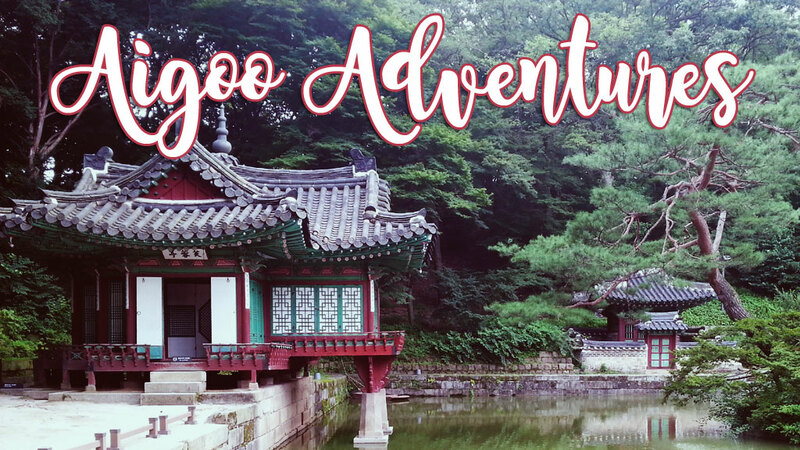 Enjoy this post about my trip, and keep an eye out for my next travel post in July, for I am making my way to Busan! My most recent travel adventures took me to Hakodate, a city on the southern tip of Hokkaido, the northernmost Japanese island. I’d been planning this solo trip since last August, and I finally visited there from April 20-25. This post is all about my trip in the city, and it’s full of photos. If you follow me on Twitter or Facebook, the photos will be familiar, but these come with a detailed synopsis. Enjoy this post! When I was 13, I remember watching Tara Lipinski (USA) at the 1998 Winter Olympics. She caught my attention because we shared the same name. The actual sport caught my attention, too — the spins, jumps, costumes, music, elegance — they captivated me. After, my interest in figure skating wavered on and off, but in 2009, my interest in the sport grew. I watched the Four Continents Figure Skating Championship (4CC for short), and I became a regular follower of the men’s singles and ladies’ singles events. This interest led me to go on a day trip to the 2017 4CC event in Gangneung, South Korea. Last year, I visited Sokcho and fell in love with the area. However, last year’s trip was plagued with rain, so I didn’t quite get to see the East Sea on a clear day. I decided earlier this year to do a return trip to Sokcho, but this time for a shorter duration — two nights instead of four nights. I’m glad I made this trip because I really needed to get away from Seoul and Songtan. With all the stress from my new job, I wanted nothing more than to escape for a few days, and this trip was it. It was a short getaway, but I’ve regained my sanity, and I saw the East Sea again, so that made me happy.